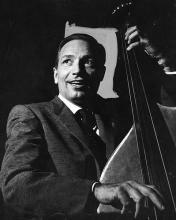 Howard Rumsey, a jazz bassist and entrepreneur who helped popularize the notion of a progressive West Coast jazz scene in the 1950s as leader of the Lighthouse All-Stars, died on July 15 in Newport Beach,Calif. the cause was complications of pneumonia, said Nancy Simonian, a longtime friend. He was 97. Growing up in the early 1960s in Los Angeles gave me lots of opportunities. To learn an instrument, and get skilled enough to play in various church and school orchestras and marching bands, If you were like me that was not enough, I liked jazz when most of my friends and peers were boppin’ to Motown. One of my greatest opportunities came in the form of playing saxophone in a youth band sponsored by the late Gerald Wilson and the Grant Music Center, Henry Grant, Conductor. 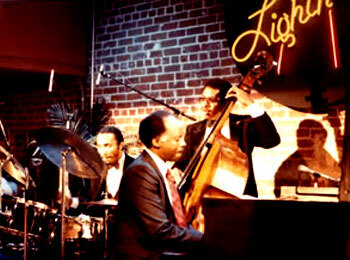 One of the prime “jazz hangs” in L.A. was the famous Lighthouse Jazz Cafe managed by Howard Rumsey. Howard had a policy of allowing under age 21 jazz fans. I first went to the Lighthouse in the spring of 1966 with a couple of older friends that were seniors in High school, I was only a junior . My first meeting of Howard Rumsey was rather funny as I was trying to act older and be the strong silent-type , while speaking with a deep voice only to have my voice crack , Howard just smiled and said relax and enjoy yourselves ,But stay away from the bar. After that first meeting every time I came, I always saw Howard either perched near the bar or standing outside talking to people who’s either leaving or, coming in for a set or two. Howard allowed us to go in back after the set and meet Les McCann, who was quite the jokester, and a hell of a pianist. Another of the traditions I loved about Howard Rumsey’s management style was He would bring Big bands in on Sundays with prominent Band leaders such as Don Ellis, Gerald Wilson. also large ensembles made up of men from the Stan Kenton/Woody Herman Band members . Rumsey had the best policy in L.A. regarding Jazz, he brought in the best of the best in Jazz. many times extending the run up to two weeks in order to make a profit. There were many great performances booked over the years, none more highly touted than the “LIVE” recordings of the Jazz Crusaders. They appeared there so much, we Hipsters were calling them the House band. I think I must’ve seen more jazz legends before I turned 21 than the average adult in a lifetime it seemed. Among the list of jazz legends were Joe Henderson, Les McCann, Jazz Crusaders, Bobby Hutcherson, MJQ, Yusef Lateef, Lee Morgan, Alice Coltrane,McCoy Tyner, Weather Report, and a substantial amount too large to list. Howard Rumsey’s history and legacy of the Lighthouse speaks for its self. some background on The lighthouse reveals some amazing facts. The first Lighthouse All-Stars was a group made up of Los Angeles musicians who had been a part of the Central Avenue scene in the 1940s, including Teddy Edwards, Sonny Criss, Hampton Hawes, Frank Patchen, Bobby White and Keith Williams. This band lasted for a time before Rumsey changed personnel to feature a new wave of players. 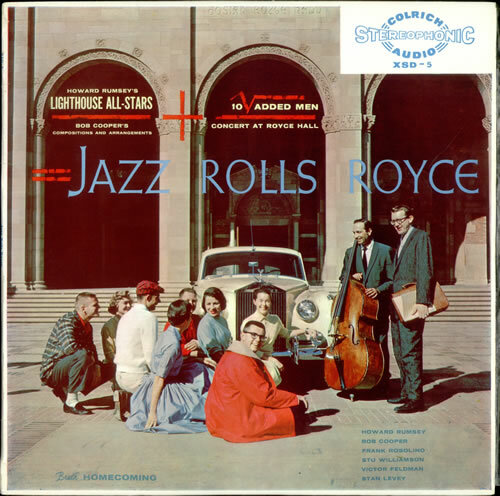 The second edition of the Lighthouse All-Stars featured Jimmy Giuffre, Shorty Rogers, and Shelly Manne. The success of this group soon landed them with a recording contract for Les Koenig’s Contemporary Records. Not only were the Lighthouse All-Stars recording for Contemporary, but many of the members of the group were also leading sessions for this same label. After Rogers, Giuffre and Manne left together in 1953 for a job at The Haig, Rumsey had to recreate his band yet again. This third edition featured Bud Shank, Bob Cooper, Rolf Ericsson and Max Roach. 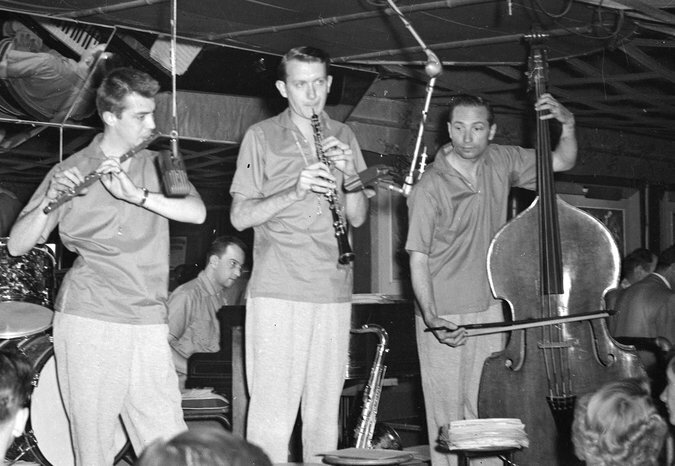 This band took part in a historic recording on 13 September 1953, Roach’s first show with the group, which would feature both Chet Baker and Miles Davis, along with Russ Freeman and Lorraine Geller. I salute Howard and hope he rests in peace. He saw his calling and performed his role as ambassador/promoter of jazz in Los Angles sublimely. We will miss him at local jazz special events around L.A. and certainly his impact on the genre will be difficult to measure at this time, but will not go unrecognized.